Cabritos Island is a 1,593 hectare island located within Lago Enriquillo, a saltwater lake forty-four meters below sea level in the western Dominican Republic. The lake is the lowest point in the Caribbean and the largest lake in the insular Caribbean. The island is made up of ancient seabed; fossilized coral and seashells cover the ground in some places. The area is reputed to be the hottest and driest part of the country. abritos Island is home to two species of iguana: the Critically Endangered Ricord’s Iguana and the Vulnerable Rhinoceros Iguana. 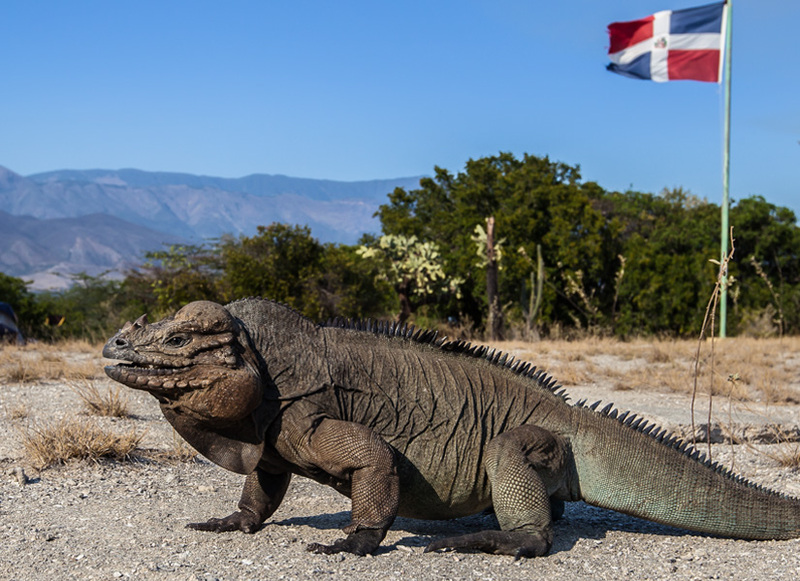 Invasive species present on the island, including feral cats and burros, threaten iguana populations by eating their young, destroying iguana nests, and damaging critical habitat. The removal of these invasive species will protect the iguana populations, particularly the Ricord’s Iguana, from the threat of extinction and will provide the opportunity for the island’s natural ecosystems to recover. You can join us today in removing every last invasive species from this island to protect the threatened iguanas, and restore the island’s natural ecosystems! To date, significant progress has been made, but complete removal of invasive species is necessary to protect native iguanas and to restore and maintain biodiversity on Cabritos Island. Together, the Dominican Republic’s Ministry of the Environment and Natural Resources, Island Conservation, and SOH Conservation are leading the charge to rid Cabritos Island and its native species of these invasive predators. If you are inspired to help save the Critically Endangered Ricord’s Iguana and the Vulnerable Rhinoceros Iguana from extinction, you can donate directly to the Cabritos Island Restoration Project Campaign. 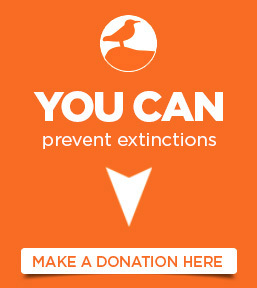 You can save Cabritos’ Imperiled Iguanas from Extinction! To provide safe breeding habitat for threatened species on Cabritos Island by removing invasive species. Cabritos Island’s native wildlife, particularly its iguana population, is thriving. Invasive species directly prey on native reptiles, destory their nests, and damage critical habitat. The removal of invasive species from Cabritos Island will safeguard and protect native iguana populations and allow the opportunity for the habitat to recover. The Dominican Republic’s Ministry of Environment and Natural Resources, with support from Island Conservation and SOH Conservation, is leading an international effort to restore Cabritos Island by removing invasive species. Your tax-deductible gift will translate directly to real, on-the-ground change. Here are some examples. for the nine-person field team for one month. 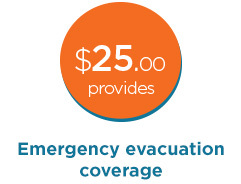 Emergency evacuation coverage ensures a helicopter will come to Cabritos Island and evacuate a staff member in the event of a serious emergency. for a local team member. 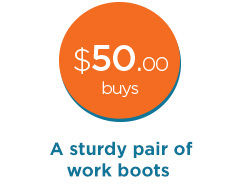 Good quality footwear can be hard to find in the Dominican Republic and these are literally the ‘boots on the ground’ that ensure the team can complete their mission. 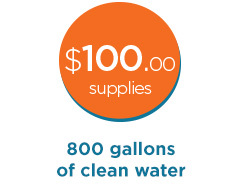 enough to support the nine-person field team for two 20-day deployments. Cabritos is surrounded by salt water and reaches temperatures well over 100°F regularly. Clean drinking water is critical for the team to save the iguanas. for an entire year of monitoring! 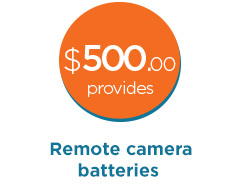 Remote cameras are an essential part of this project. This footage allows us to know where invasive species have been or may be, to approximate how many remain on the island, and to help confirm their complete removal. This Critically Endangered species is one of the most endangered lizards in the world. 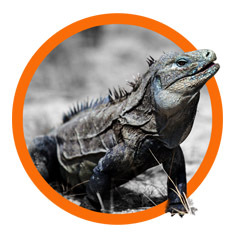 The Ricord’s Iguana survives as three subpopulations within the Jaragua-Bahoruco-Enriquillo UNESCO Biosphere Reserve in southwestern Dominican Republic. The wild population, estimated at between 2,000 and 4,000 individuals, continues to decline due to invasive species and loss of habitat. Current estimates for the Vulnerable Rhinoceros Iguana are between 10,000 and 17,000 animals, of which about 10 subpopulations occur in the Dominican Republic. In most areas, these iguanas exist in low densities and are declining due to invasive species and human pressure on their habitat. Cabritos Island was declared a national park in 1974. In 1996 Lake Enriquillo was added to create the Lake Enriquillo and Cabritos Island National Park.The 20,000-hectare protected area is one of the core zones of the Jaragua-Bahoruco-Enriquillo UNESCO Biosphere Reserve, a designated Ramsar site, and an Important Bird Area. Since the island achieved national park status, the iguana species on Cabritos Island have benefited from protective management and natural habitat regeneration. However, the persistence of invasive species on the island continues to threaten the long-term survival of these imperiled animals. A local field team from the Dominican Republic was assembled and trained in removal techniques for the Cabritos Island Restoration Project. Through training, the team has developed extensive knowledge and gained experience in invasive species removal techniques, building capacity for future projects in the region. Wes received his degree in wildlife science with a minor in biology from Utah State University. He has held a variety of conservation jobs ranging from studying bats in southern Utah to working on a silviculture crew in Alaska. Wes joined Island Conservation in 2009 as part of the team dedicated to the restoration of San Nicolas Island, California. He has served various roles on Island Conservation’s projects in the US, Ecuador, Chile, Puerto Rico, the Bahamas, and the Dominican Republic. 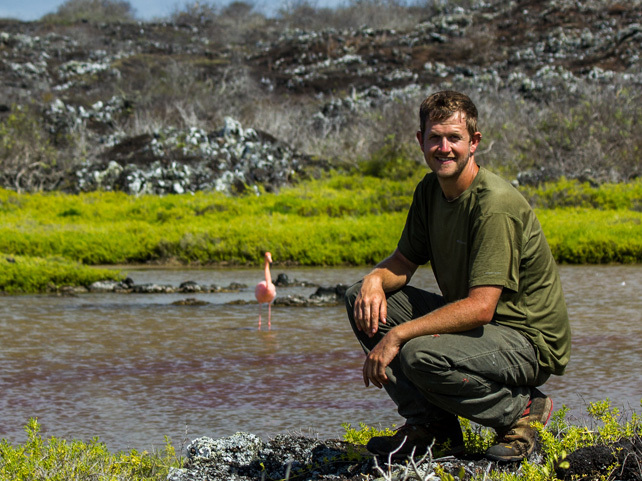 Since being promoted to project manager in 2013, Wes has focused on saving the IUCN-listed Critically Endangered Ricord’s Iguana and six other Vulnerable species by restoring Cabritos Island, which is located in Lake Enriquillo in the Dominican Republic.